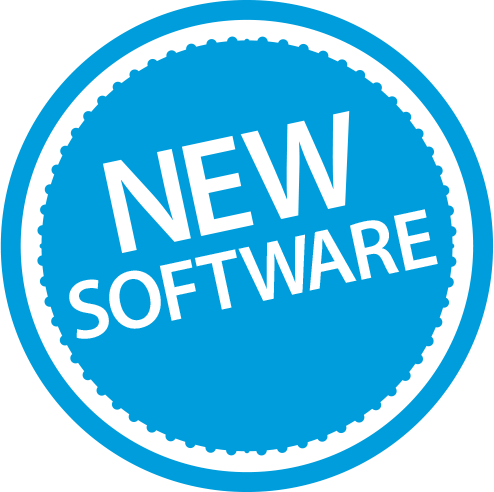 The most flexible card for analog and digital Standard and High Definition workflows. KONA LHi provides a wide variety of formats, frame rates and audio/video sources for the connectivity you need. KONA LHi bridges the gap between analog devices and the latest 3G-SDI and HDMI-enabled products to provide editing, monitoring and mastering of professional quality video in an affordable, powerful, easy to use product. 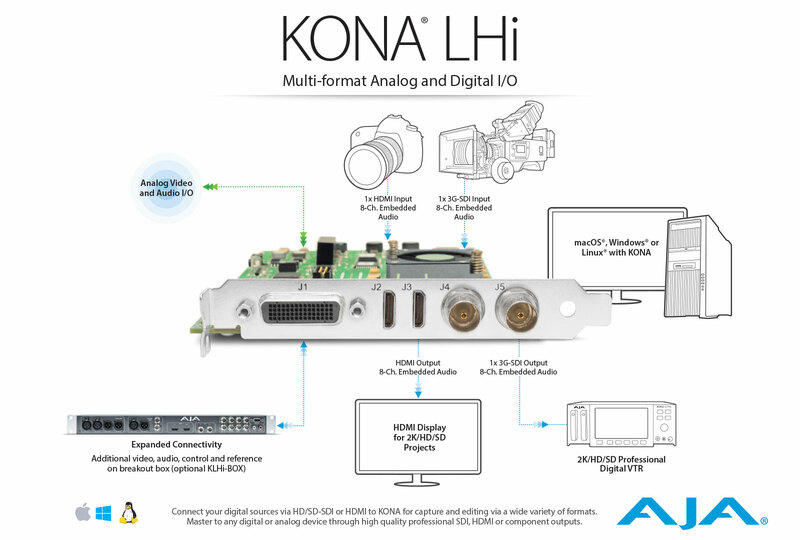 Connecting to everything from an HDMI-enabled camera to an HD-SDI VTR, KONA LHi offers a full host of no-compromise features, including 10-bit or 8-bit uncompressed video, 2-channel AES digital audio and 8-channel SDI embedded digital audio, analog composite or S-video or SD/HD component video I/O, and 2-channel balanced analog audio I/O. KONA LHi features full 10-bit, broadcast quality, motion-adaptive SD to HD up-conversion, HD to HD cross-conversion, HD to SD down-conversion, and automatic HD/SD 12-bit component analog output. Since KONA LHi's conversions are hardware-based, they are available all the time - during ingest or playback. Outputs can be configured independently allowing you to have simultaneous HD and SD output - or two different types of HD: 720 or 1080 - output at the same time via cross-conversion. A 9-pin RS-422 connection available on either the included breakout cable or the optional KLHi-BOX breakout box, allows KONA LHi to take control of external devices for frame accurate ingest and layoffs. Supporting macOS, Windows and Linux, KONA LHi offers cost effective simple connectivity for a range of workflows. KONA LHi's HDMI 1.3a support allows you to feed a "deep color" monitor with glorious 10-bit video, banishing video banding and preserving your gradients and rich color palette. Incoming HDMI signals can also be passed to KONA LHi's SDI output for use in more professional environments. The optional KHLi-Box breakout box let's you integrate KONA LHi easily into rack environments for quick access to all video and audio connections. Additional connectivity includes BNC digital AES/EBU connectors and RCA audio monitoring jacks. Note: These formats are dependent on specific software functionality and are not normal over the wire formats.